Learn how to cancel your subscription and remove your business. Please note that if you cancel your subscription your account will be fully removed from the system and you won't be able to view it any further. If you have multiple businesses, make sure you're accessing the correct business. You can choose the business from the top left hand corner. Go to the Settings page by clicking on Settings in the top right corner. 2. Next go to Subscription and Billing. 3. Then click on Cancel Subscription . 4. 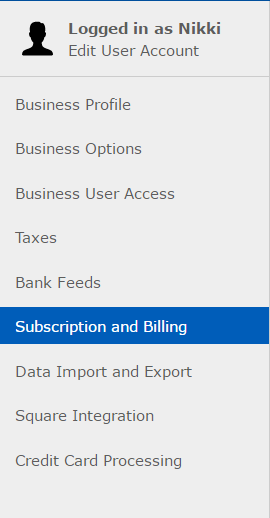 Type in cancel and then click on the Cancel Subscription button.